Living within walking distance to shops, restaurants, farmers markets and coffee shops is great for urban living, but besides The High Line, it can be difficult to find open green space to call your own. If you have always wanted to have a backyard for growing your own vegetables and herbs, find comfort in knowing that this can be done indoors or on a small patio at your future AVA High Line home! 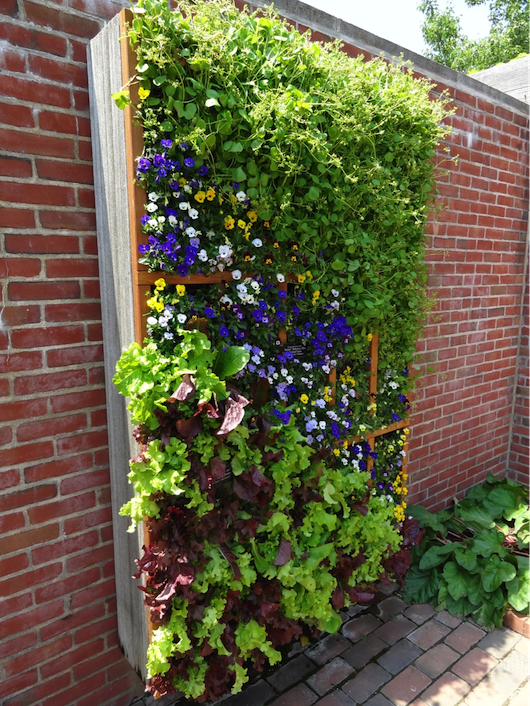 There are many ways to use vertical space to grow your own fresh herbs or even for growing larger plants like tomatoes. Not only will you save money on buying expensive produce, but you can rest easy knowing it’s all organic and that you grew it yourself! Don’t have a green thumb? You can also grow more decorative plants like succulents or flowers using vertical techniques which don’t require much watering or maintenance. Make it a weekend project and get some friends together to help you put together your new garden. Summertime is fast approaching and your new green space can make for a great spot to have BBQ’s or drinks with friends. Your new garden has a duel function as an edible and decorative landscape. 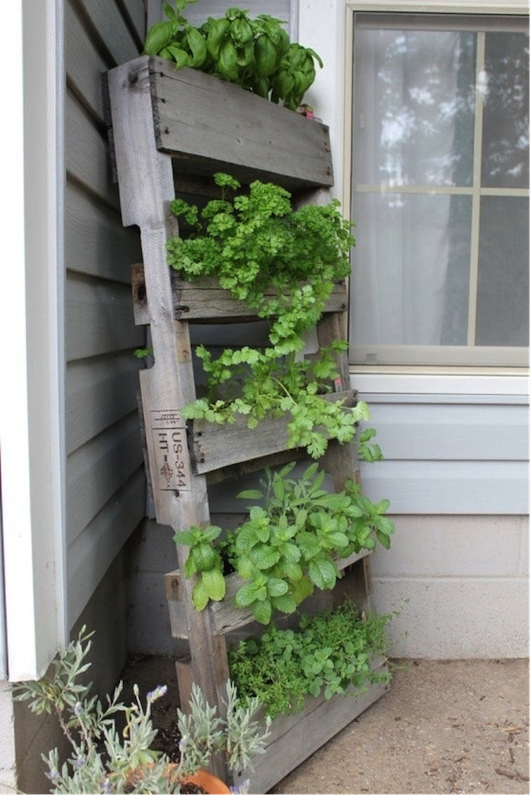 …or make use of an old pallet by upcycling it into an herb garden. 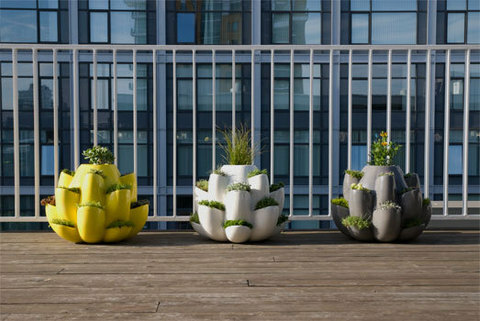 For a more mobile approach, you can add these removable lotus planters to an outdoor terrace. It is even possible to grow your herbs and plants indoors in kitchens or even in a bookcase! 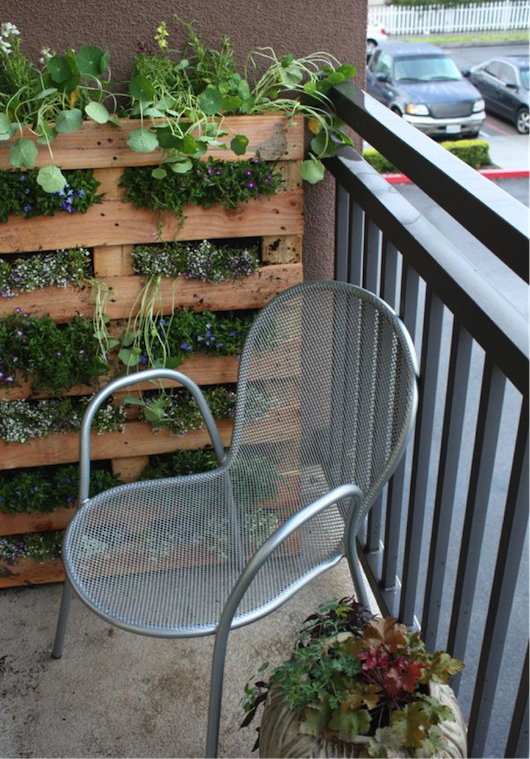 Make use of space that you would normally use for a painting or storage and put up a small vertical planter. 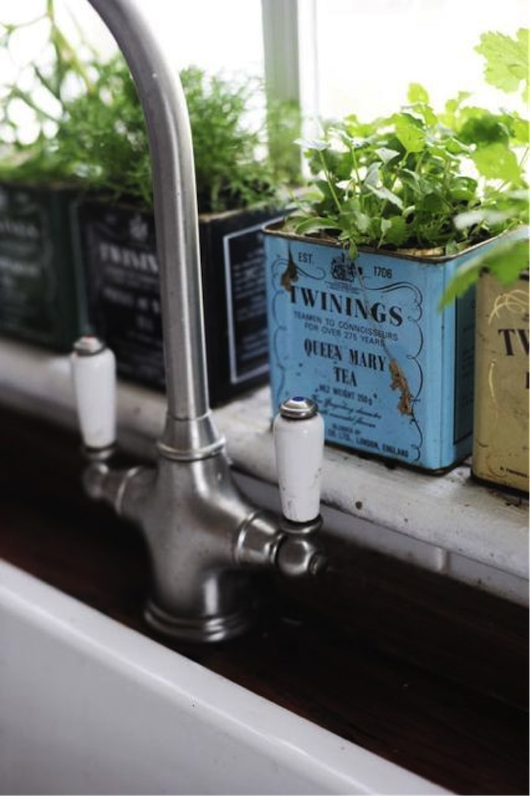 You can use more traditional container methods using pots as well, just line up a row of decorative pots along any windowsill and fill them with fragrant rosemary, basil, mint or parsley which grow well indoors. 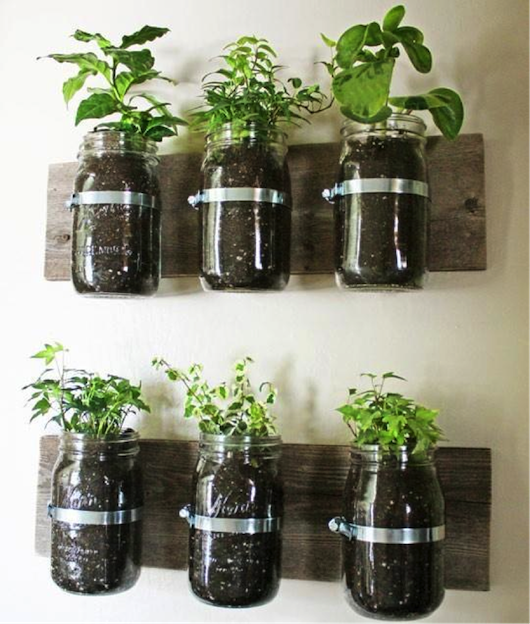 Have fun and experiment with different methods, but know that you don’t have to have a huge yard or even outdoor space to grow beautiful herbs and plants!